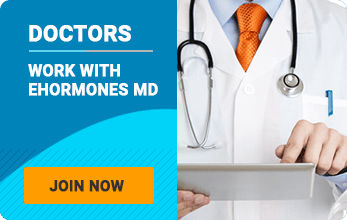 Ehormones MD New York City, Hormone Replacement Therapy (HRT) Doctors prescribe personalized age management and medical weight loss programs that will help you look and feel younger fast! We will guide you through the common problem of Low Testosterone or “Low T”. Get the most out of life with hormone treatments that include Testosterone and HGH Therapy for age management and peak performance. The skilled physicians at Ehormones MD New York City offer a full-circle preventive approach to optimal health through personalized fitness programs, tailor-made nutrition plans and of course Hormone Replacement Therapy (HRT).